Dublin is famous for her writers and Riverdance, but the city also has a rich geeky past. Here are 10 highlights and secret Dublin treasures, from amazing fossils to a pioneering diving bell, and even an equation that landed a man on the Moon. And they are all free! 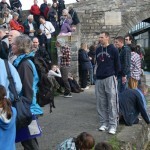 Geeks come from all over to pay homage at the place where a revolutionary new algebra was invented in 1843. The equation — called quaternions — is now used to run 3-D animations and control satellites, and it even put a man on the Moon. A plaque on the canal bridge marks the spot where William Rowan Hamilton had his Eureka moment. From there you can walk in his footsteps along the towpath. The start is a little desolate, but it soon improves, and it’s a pleasant 30 minutes stroll by the canal to Ashtown cafe, where you get the train back to town. Where: Broome Bridge, Royal Canal. 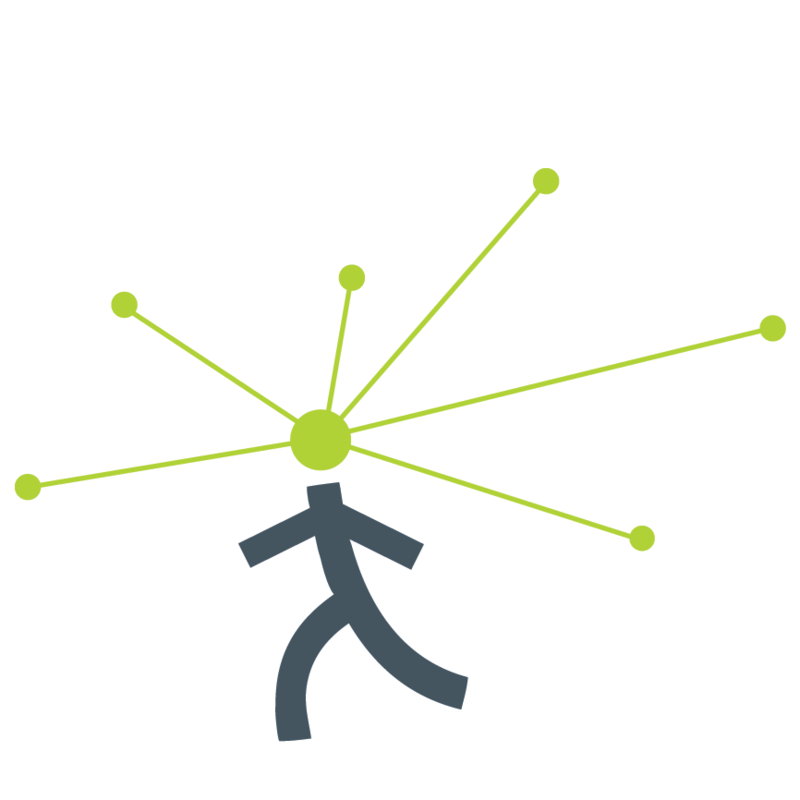 More info: our free Eureka podcast tour. The scientist who built the first particle accelerator, and split the atom. The physicist who first proposed radio waves.. And the father of quantum mechanics… just some of the great scientists who lived and worked in Dublin, and are honoured with a commemorative plaque. 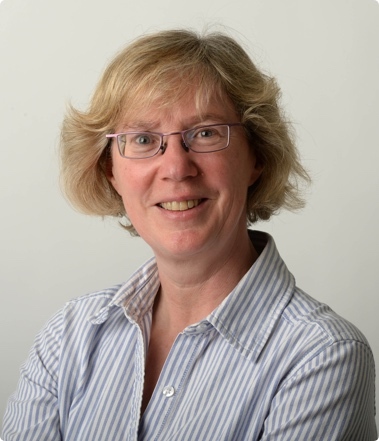 Nobel physicist and atom splitter Ernest Walton is at TCD physics department; quantum mechanic Erwin Schrodinger is at 64 Merrion Square; and the great ideas man, George Francis Fitzgerald is at 7 Ely Place. 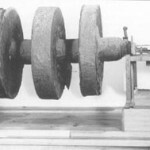 You are reading this blog thanks to the steam turbine, a revolutionary new device that made efficient and widespread electricity generation possible and, later, the jet engine. 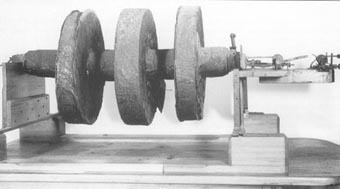 The steam turbine, invented in 1884 by Charles Parsons, who was from Birr Castle in Co Offaly, is still used in power plants today. Visit: see Parson’s working scale model, in TCD’s Parsons engineering building, Mon-Fri 9-5. 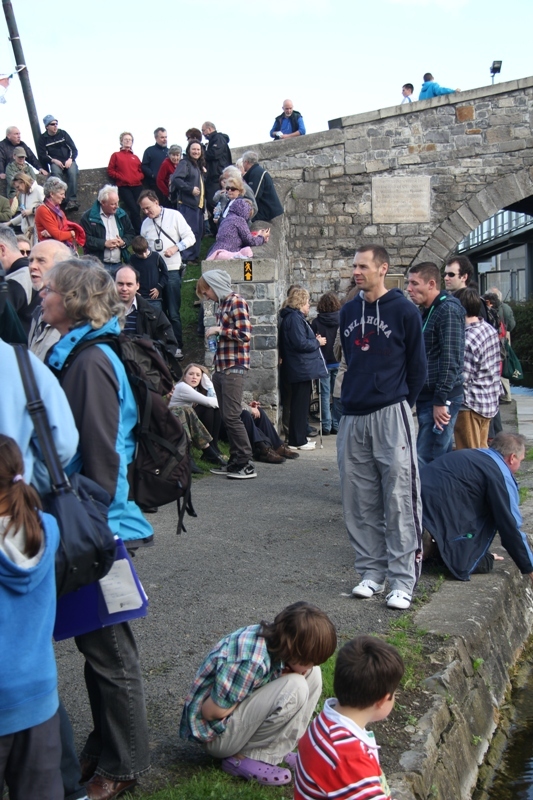 Most people ignore the big rust-red metal box resting on the quay walls. Yet this is an historic diving bell — and possibly the biggest of its kind when it was built in 1866. 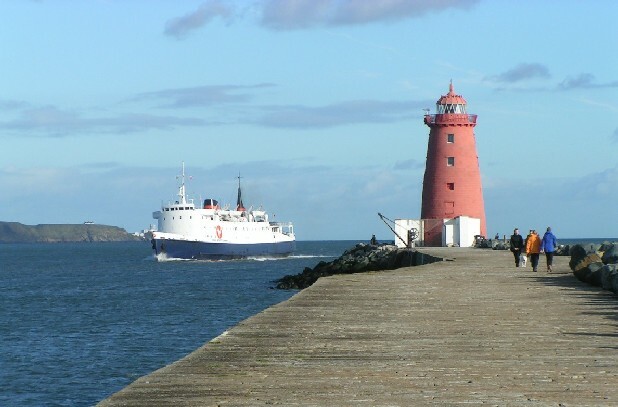 Crews of 5 men worked inside, levelling the river bed, to lay foundations for quay walls when Dublin’s new deep-water port was being created. The work used what were then the world’s biggest concrete blocks! The bell was used for nearly 100 years and you can now see inside, thanks to a couple of port-holes. Where: Sir John Rogerson’s Quay. While you’re on the quays . . . Grab a Dublin Bike and make for Dublin’s great south wall. Then take a bracing walk along the top of this great feat of engineering, out into the sea, for a breath of fresh air and some amazing views. Stretching from the city centre to the lighthouse at its tip, this is arguably Europe’s longest sea wall, some 7km long. And yes, it is visible from space! 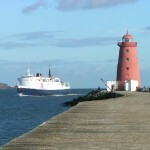 Where: South Bull Wall, Poolbeg. 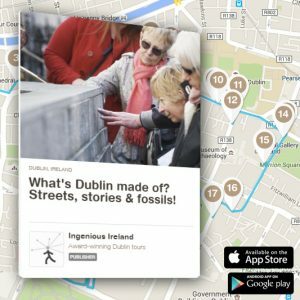 For more great Irish ideas and inventions, join our special Ingenious Dublin walking tour this St Patrick’s Weekend. Fun, friendly and informative, the tour includes the taste of shamrock 😉 Tickets from €10. 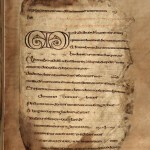 The first legal ruling on Copyright was made by the Irish high king in AD 561, when he ruled ‘To every cow its calf, to every book its copy’. The dispute was over a manuscript copy of some psalms… and amazingly, that manuscript survives. 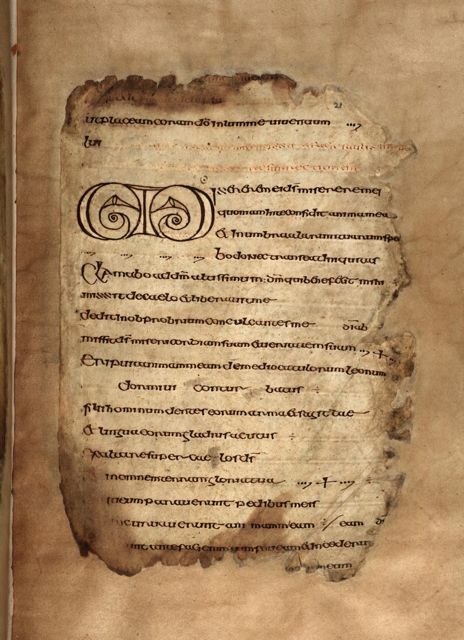 It is in the wonderful Royal Irish Academy library, where it is often on display — if another manuscript is on show when you visit, you can still pick up a postcard of the Cathach (pictured). The Academy is a hidden Dublin treasure, well worth visiting. Where: RIA, Dawson Street. More info: our free RIA audio guide. Fossil tracks that are 385 million years old, from Co Kerry, are among the treasures in Dublin’s Natural History Museum. This quaint Victorian museum, known locally as the Dead Zoo, is also a delight – a museum piece itself, largely untouched for over 100 years, it is full of creatures that have been chopped, pickled and stuffed. For children of all ages! 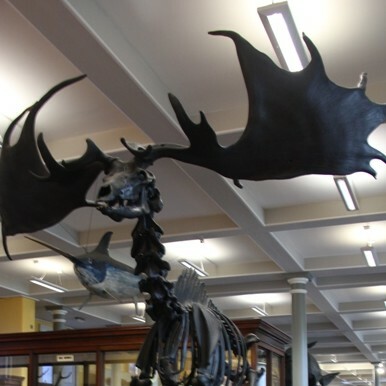 Where: Natural History Museum, Merrion Street. Book yourself free tickets for one of the open nights at historic Dunsink Observatory. The astronomers will roll back the dome and swing the telescope into position so you can see the heavens above (at least, if the skies are clear!). 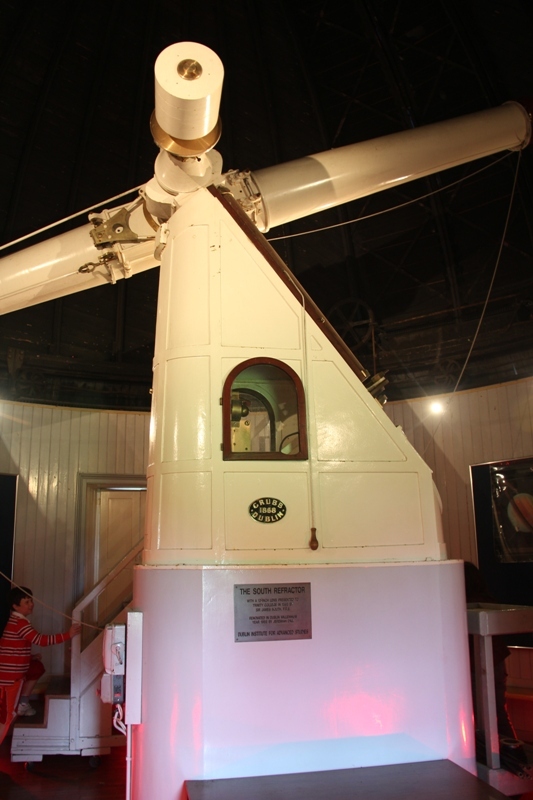 Founded in 1785, the observatory is Ireland’s oldest scientific institution, and still in use. 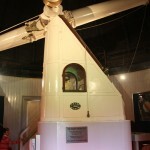 Where: Dunsink Observatory. Book your tickets here. 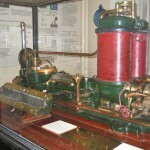 The induction coil. Invented at Maynooth! 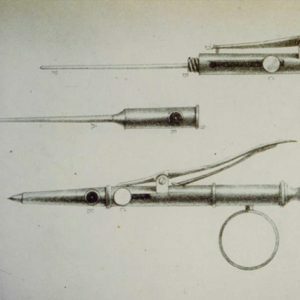 Ok, he didn’t experiment with human bodies but, in the 1830s, a priest-professor at St Patrick’s College in Maynooth did experiment with electricity and along the way invented the induction coil. 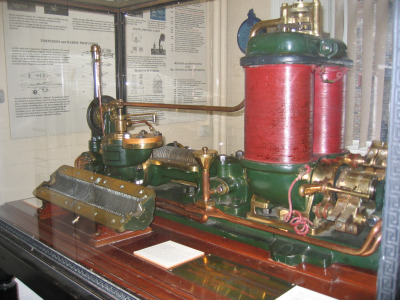 Rev Nicholas Callan also built the world’s most powerful battery and most powerful electromagnet, and even had an early electric vehicle – well, a battery-powered trolley that he drove around his lab! That lab and his inventions are all on display in the college museum, along with lots of other wonderful scientific paraphernalia. Where: St Patrick’s College museum, Maynooth. May-Sept Tues, Thurs & Sun afternoons; Oct-April by appointment. 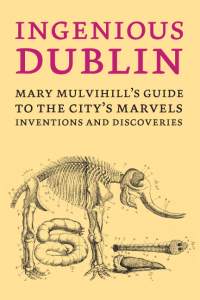 Dublin’s streets are so full of geeky stories, that we’ve made a whole ebook about them! 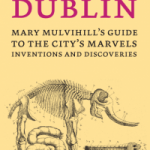 It’s Ingenious Dublin: a guide to the city’s marvels, inventions and discoveries, and the first chapter is free — it introduces the city, and explores the River Liffey, the ‘bay area’, and the historic port, with stories such as the diving bell and the great south wall. The book is richly illustrated, with hundreds of stories across the city and county, and lots of suggestions of places to visit and things to see. You don’t need a Kindle to read it — just download the free Kindle software to any device. 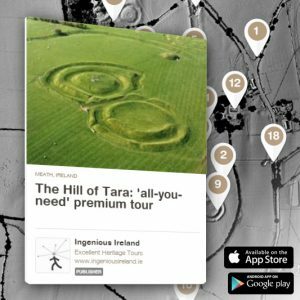 And if all that’s not enough, you can take one of our ingenious Dublin guided tours. Thanks to technology, you can enjoy the tours any time you want — even from the comfort of your own armchair! Just download the audio or the app tour to your player, and away you go. There are lots to choose from, many of them are free, and they’re oh-so convenient!